Fruits are one of those wonderful gifts of nature that we love to take either as dessert or appetizer. Eating one fruit is a delicacy but it’s even more exciting when we mix all our favorites fruits together! Pour the diced pawpaw and pineapple into a bowl. Peel and cut the bananas into tiny bits. Remove all the seeds from the watermelon and cut into smaller sizes. Pour the watermelon into the bowl containing the diced fruits. 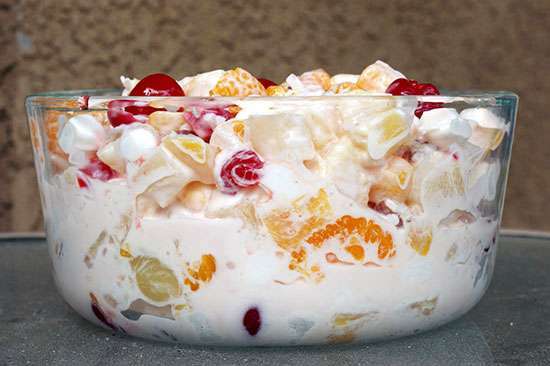 Place the fruit salad in the fridge for 2-4 hours. Bring the fruit salad out when it is chilled. Now your delicious fruit salad is ready! Serve into smaller bowls and enjoy as an appetizer or a dessert as desired. Enjoy your tasty fruit salad this weekend with your choice fruits all available at your friendly neighborhood store. You can also call us on 07065254976 to order or send us an email at info@ccdsuperstores.com. We wish you a fruitful weekend!